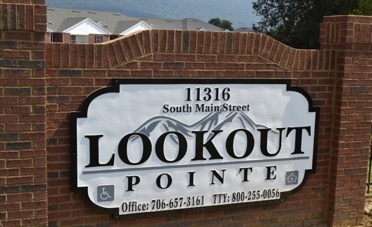 Lookout Pointe is located at 11316 South Main Street in Trenton, Georgia. 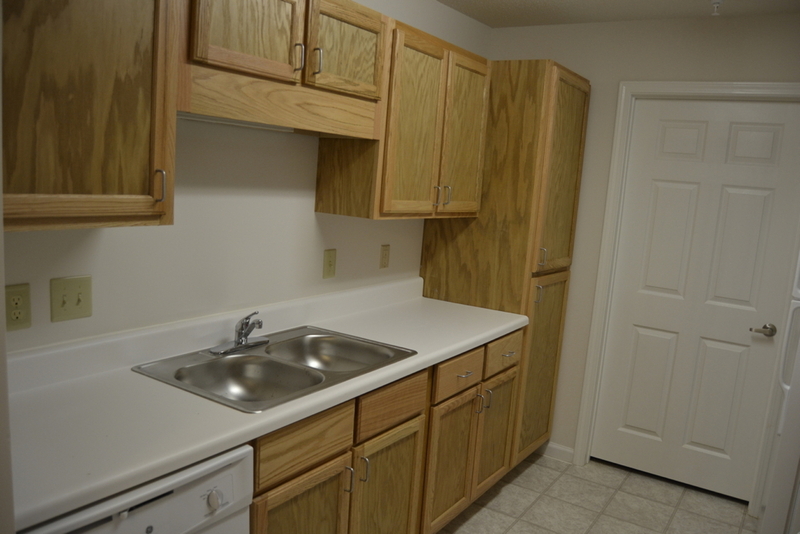 This is 56 unit independent living, age-restricted (55+) residential community offering one bedroom and two bedroom apartments.. 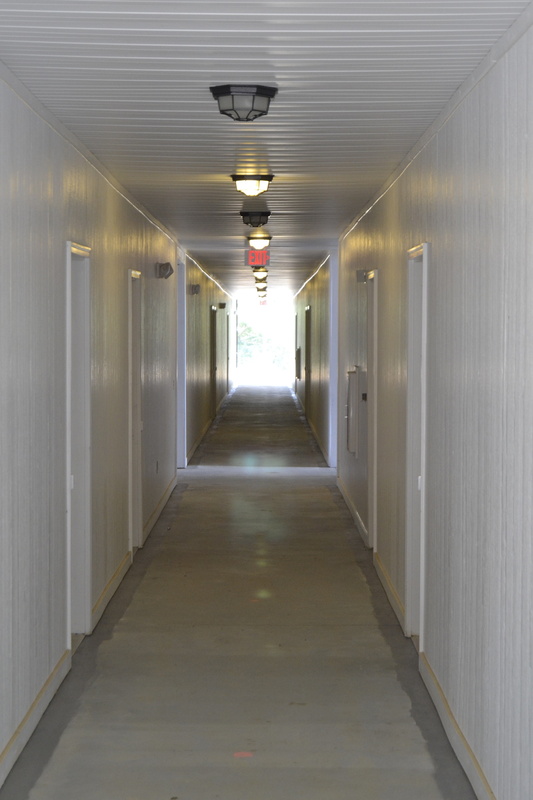 The residential buildings are two story buildings with elevator service. 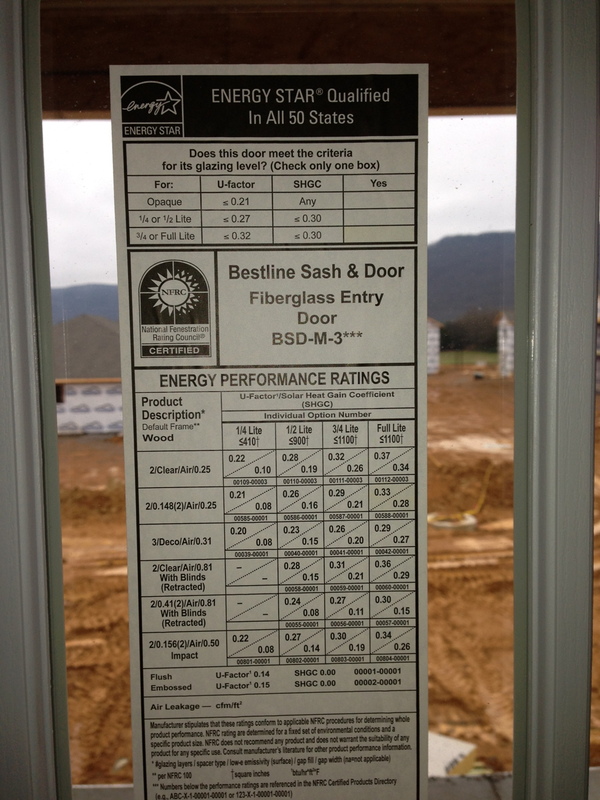 This project was also planned with comfort and beauty in mind. 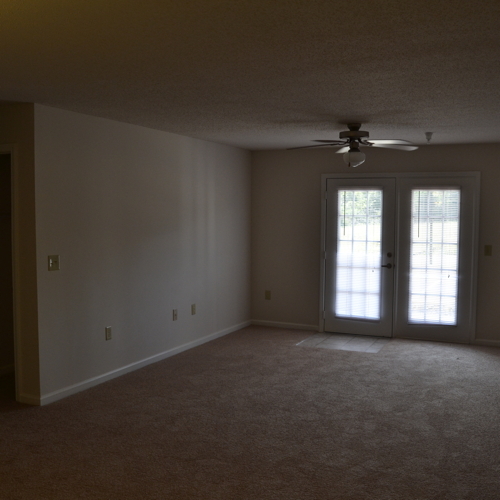 The apartments have good grade flooring and painting. 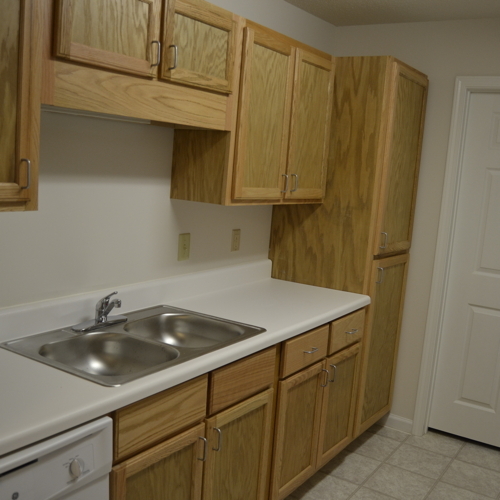 The layout for both the one and two bedroom units are practical and functional. Covered picnic area with grill and gazebo. 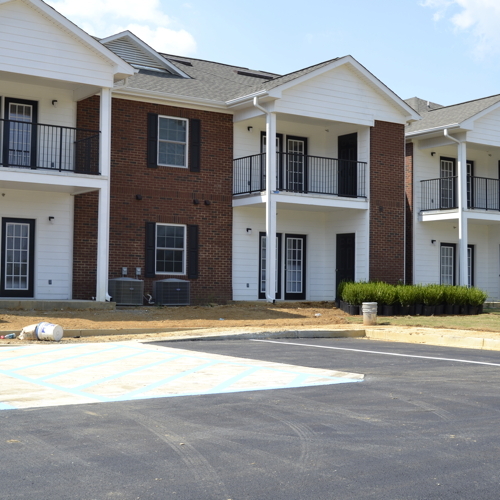 Lookout Pointe provides comfort and convenience for the residents. 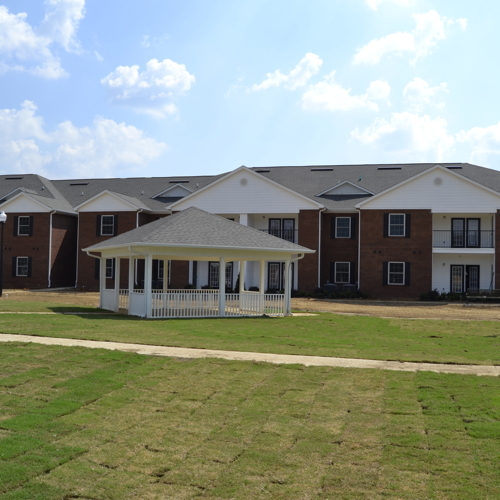 The property is located close to a wide range of shopping, dining, medical services, places of worship, and other community services. 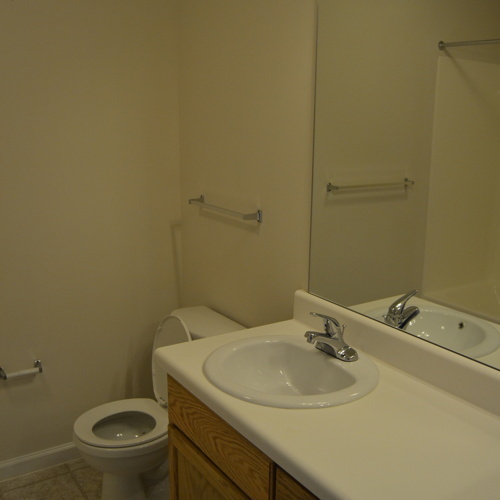 Olympia Construction (the General Contractor) and their sub-contractors, did an excellent job creating a beautiful, comfortable, and affordable place to live. 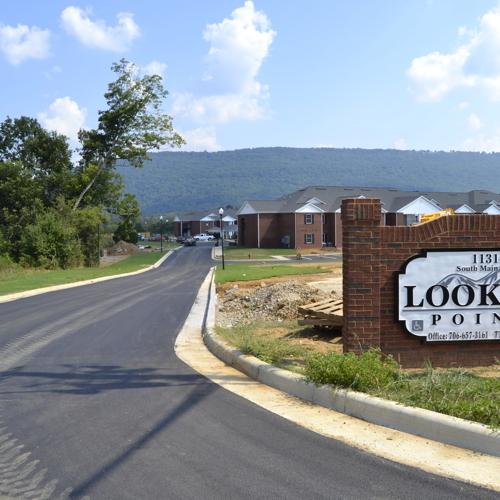 Lookout Pointe also provides beautiful views of the surrounding mountains in all directions. 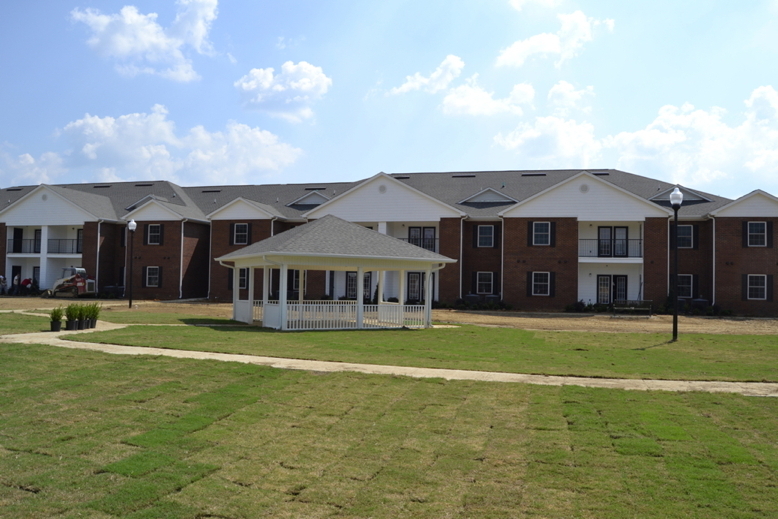 Lookout Pointe Apartments were developed by the Braden Group of Summerville, Georgia. 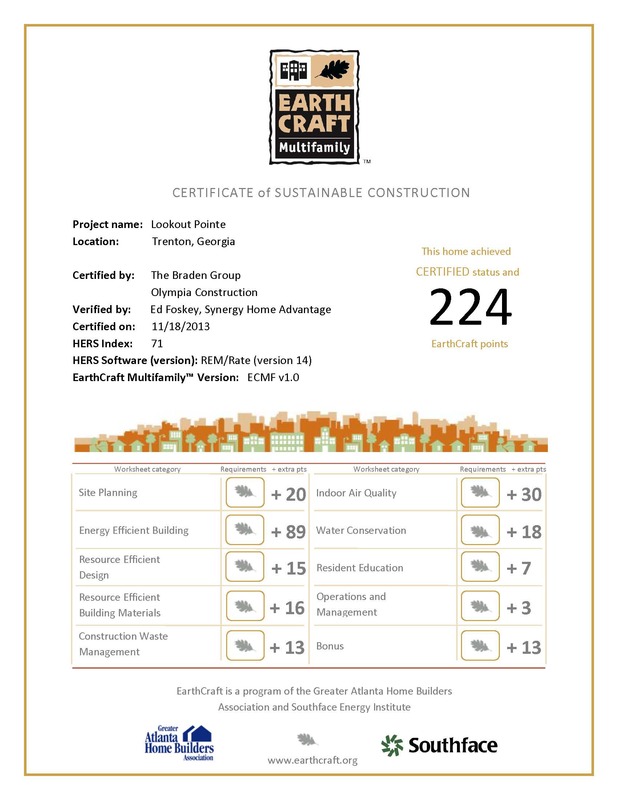 As part of the 2011 EarthCraft Multifamily Program, Lookout Pointe earned 224 points in the EarthCraft scoring with the two greatest levels of emphasis being in the categories of “Energy Efficient Building” and “Indoor Air Quality.” Also, this project qualified for the Georgia Power Earthcents new homes program with a HERS score of 71. That means that these apartments will be nearly 30% more efficient than similar apartments built to minimal code standards. 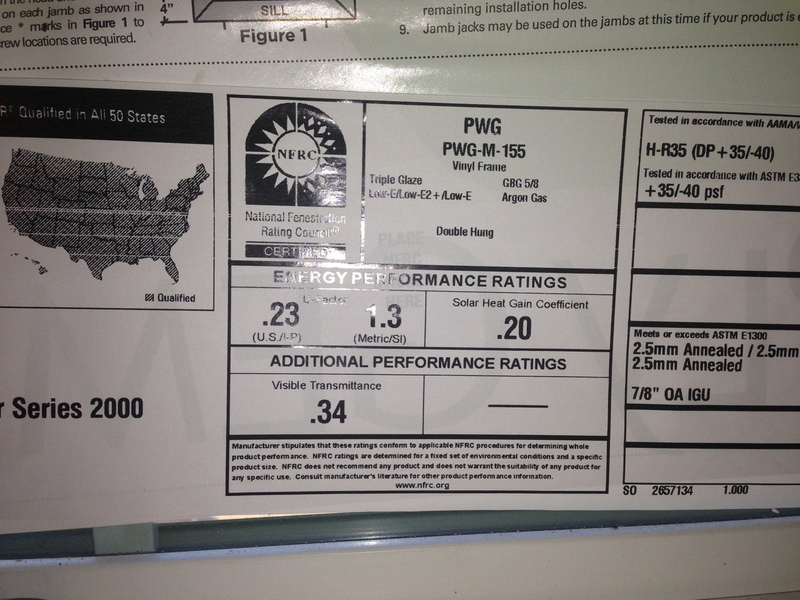 Synergy Home Advantage’s only role with Lookout Pointe was to provide Energy Efficiency Related advisory and testing services. 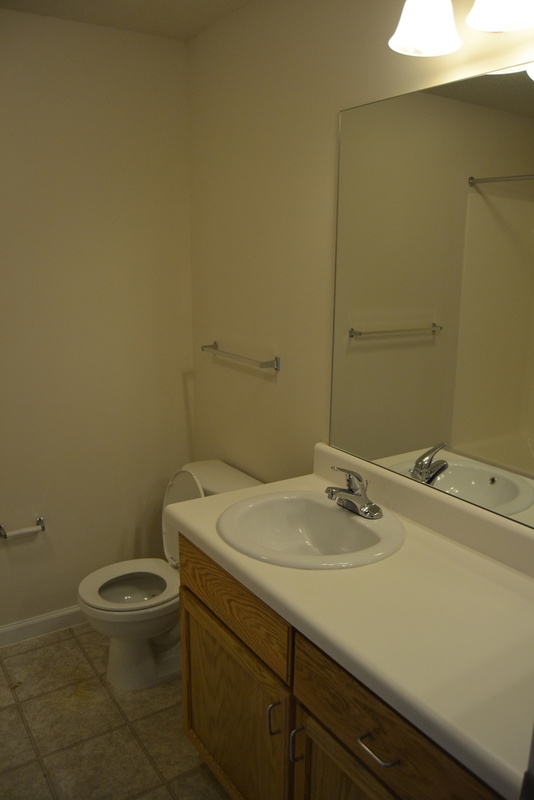 Synergy had no other involvement with this property. 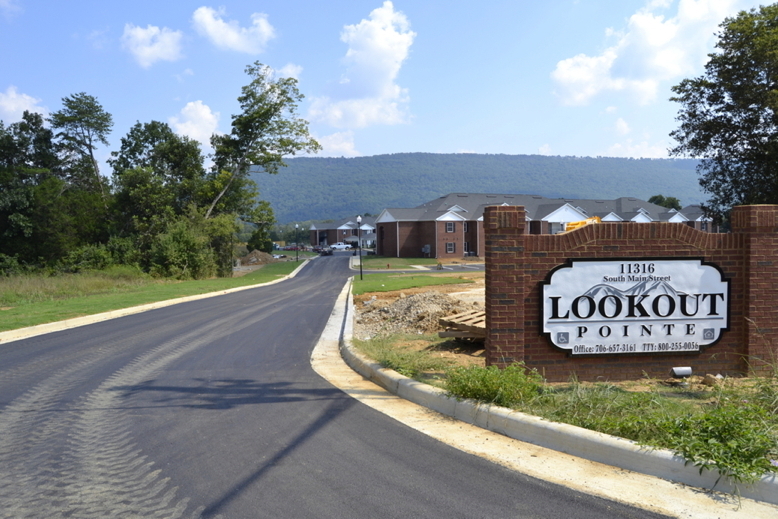 For additional information about Lookout Pointe, please call 706-657-3161. 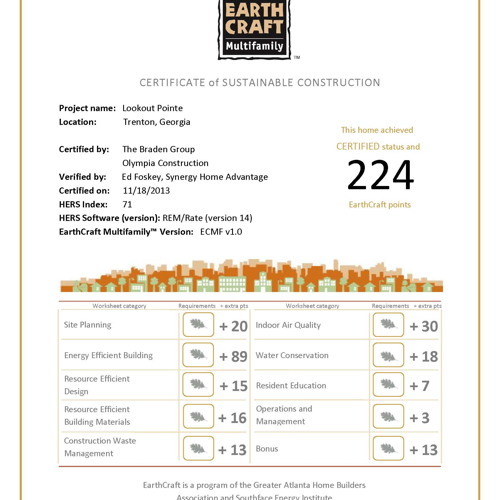 Lookout Pointe earned 224 EarthCraft points in their certification (minimum 200 needed). 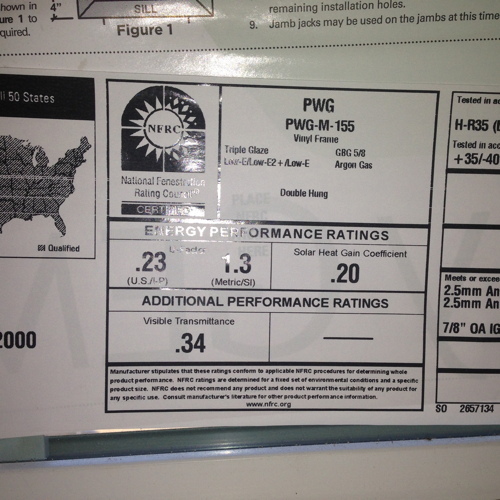 This window certificate shows that these should be very efficient windows helping save on heating and cooling bills. 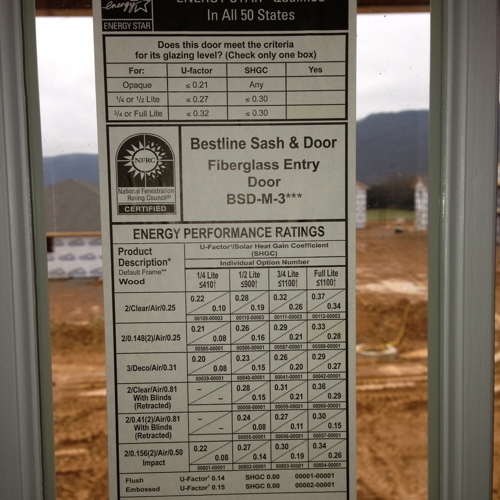 This door window sticker shows that it is also a very energy efficient door. 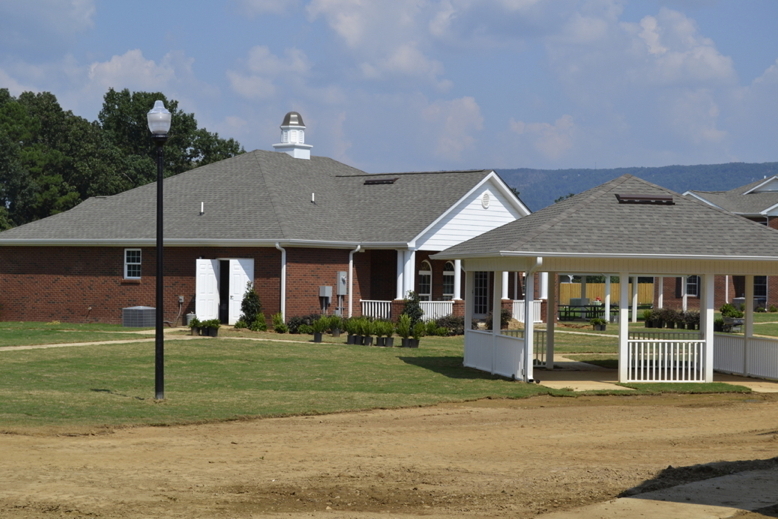 This view shows the covered picnic area in the center courtyard. 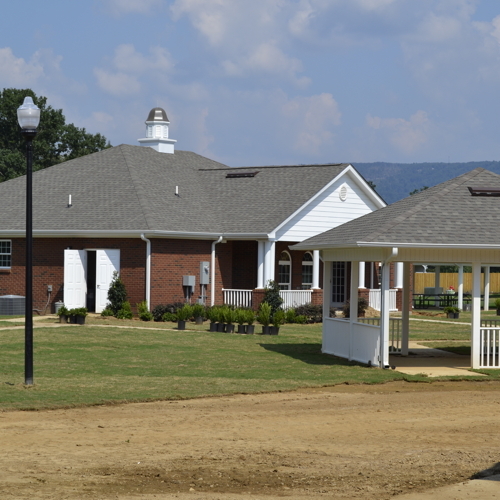 This photos shows the courtyard side of the community center along with the picnic shelter. 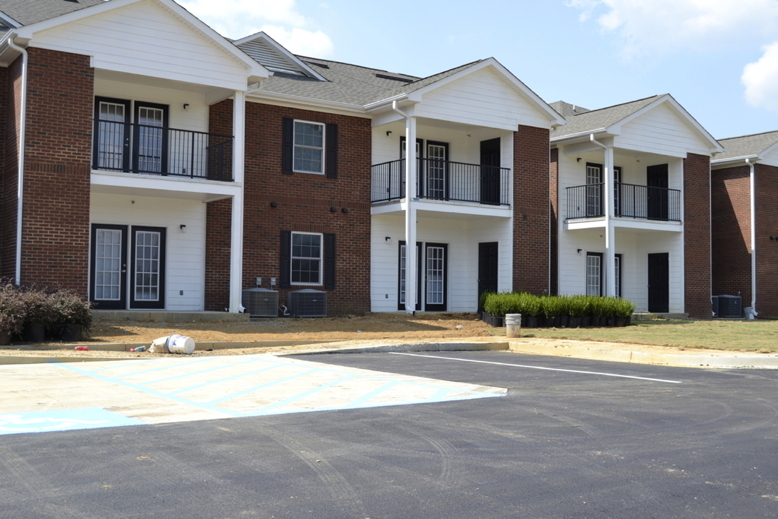 This is a closer view of the exterior of the apartments from the parking area. Even from the entrance, you get a beautiful mountain view in the horizon. 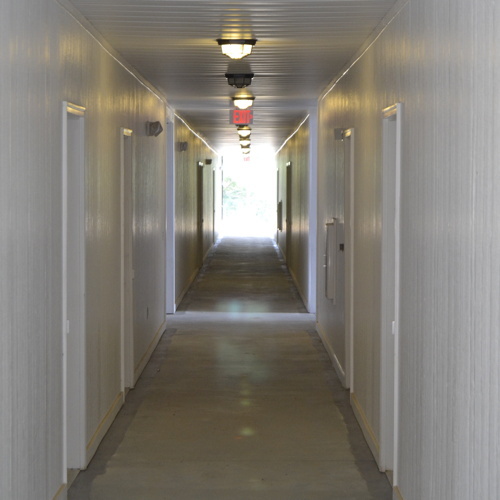 This is the view of the breezeway protecting you from the elements as you enter an apartment. 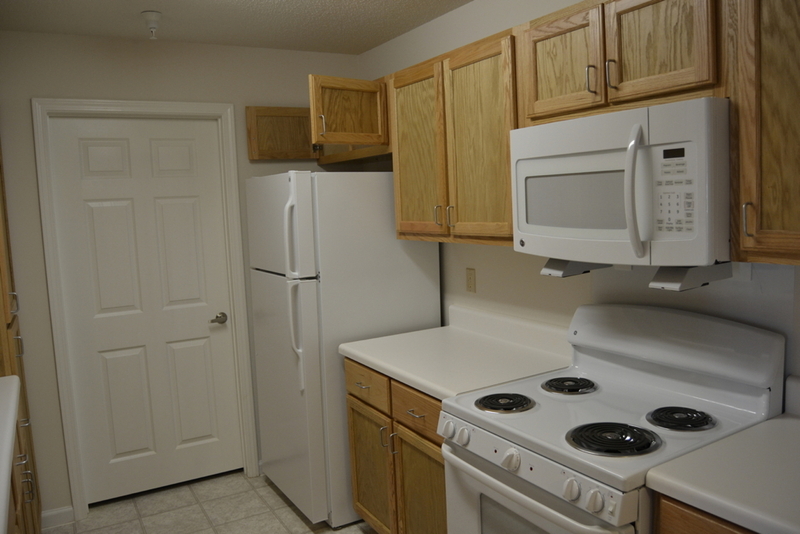 This is one view of a typical kitchen in the two bedroom apartment. 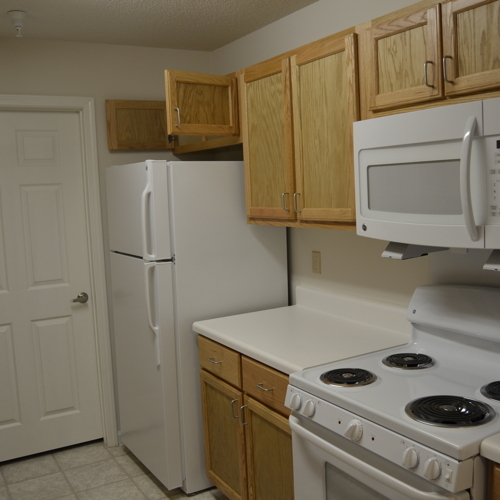 This is an alternate veiw of a typical kitchen in an apartment. 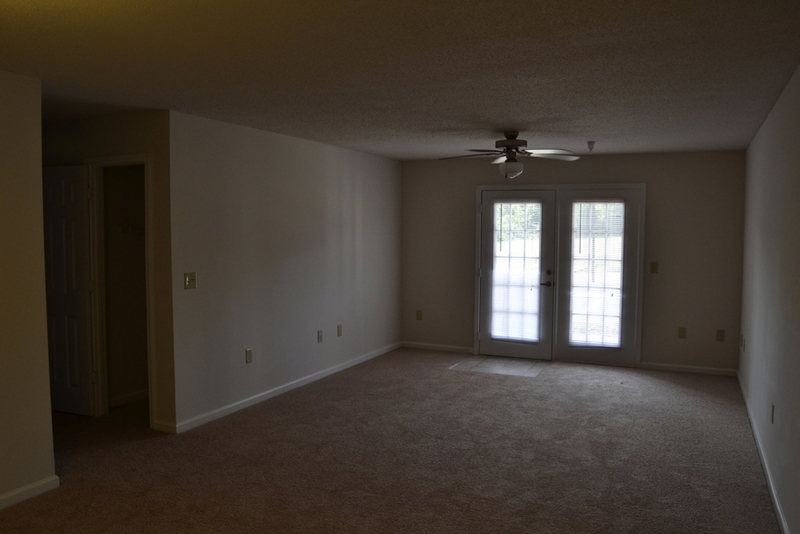 This is a view of a typical living room. This is a view of a typical bath.